For the third time in its 400 year history, The Red Fox Steakhouse & Piano Bar will relocate, this time, instead of crossing the Atlantic Ocean, it will move directly across the street from its current location at the east wing of the Lafayette Hotel in San Diego's North Park community. The Red Fox Steak House began its life around 1560 as a pub in the county of Surrey in Southern England. In 1926, the tavern was dismantled and the umber interior walls were shipped to Santa Monica, CA, where the medieval accents were used in the construction of the private beachfront home of actress Marion Davies. 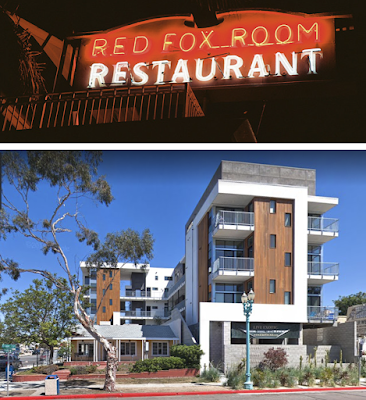 When Davies' Ocean House was sold and turned into a hotel in the late 1950s, the Red Fox materials were dismantled and moved into to storage, before heading to its current address as part of the ground floor steak house in San Diego's Lafayette Hotel. 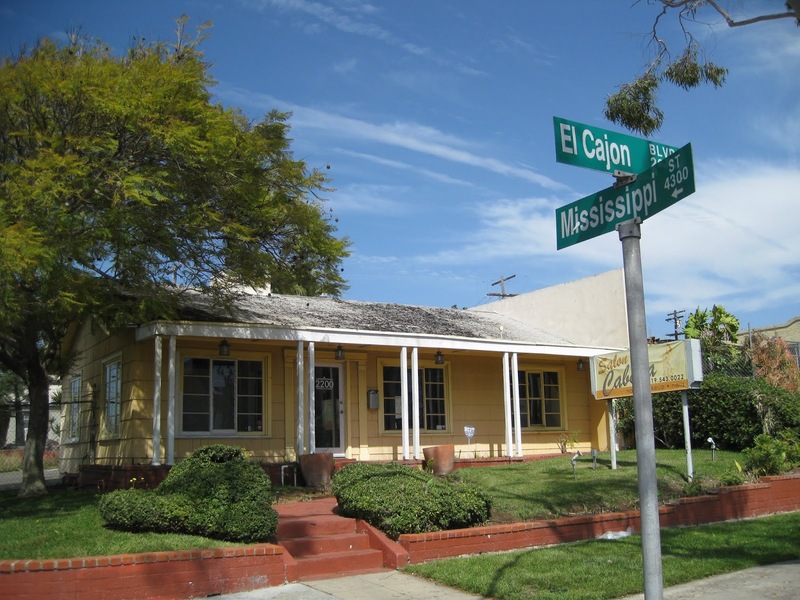 John Demos bought the restaurant in 1966, and his son, Jim, took over management of the historic restaurant after his father retired. "We have to be out of our current location by March of next year," said Red Fox owner Jim Demos. "We still have to build the structure but it will be about the same size. Everything will be the same with some possible additions to the menu"
By March of 2019, Red Fox's lease with The Lafayette will end and it will move from its current location at 2223 El Cajon Boulevard into the standalone yellow structure that currently houses Isaac Roberts Salon, almost directly across the street at 2200 El Cajon Blvd. The free standing building will receive a complete top-to-bottom renovation to turn it into the new home for The Red Fox Steakhouse & Piano Bar, which ownership ensures will be nearly identical to the current restaurant, only better. The Lafayette Hotel is currently seeking a new tenant to install within the space currently occupied by The Red Fox Room. San Diego-based RAR Hospitality, which manages The Lafayette and is also in the process of renovating the Carlsbad By The Sea Hotel adjacent to the incoming Windmill Food Hall, is hoping to get a more modern restaurant for its North Park property. RAR also manages several Hilton, Marriott International and IHG branded hotels and several independent, historic boutique hotels in San Diego County, including The Keating Hotel in the Gaslamp Quarter and El Cordova Hotel in Coronado. For more information on The Red Fox Steak House & Piano Bar, visit redfoxsd.com.